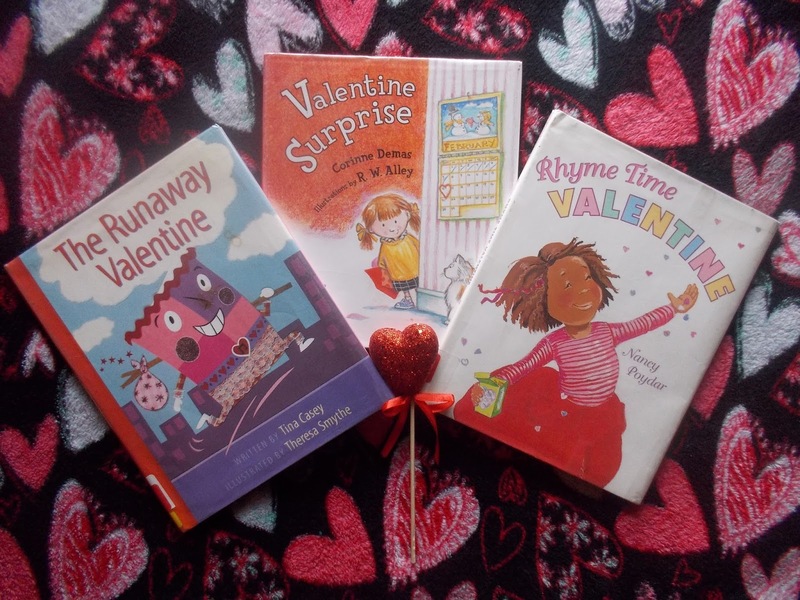 How I Feel About Books: We LOVE Valentines Books! 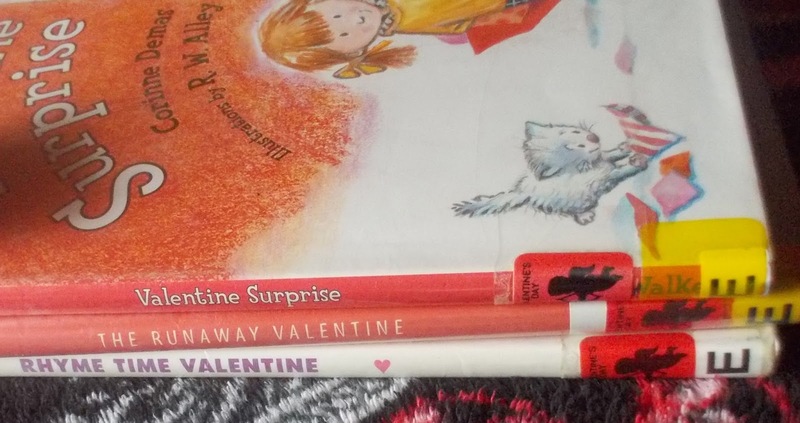 We have been reading Valentine's Day books at bedtime for almost a week now because my son is so excited about the holiday! There are a lot of great Valentine books out there, but we wanted to share a few of our favorites. This story starts in a card shop on Valentine's Day, and all of the cards are showing off, hoping to be picked to share their love. One card in particular is ready to be picked; he has glitter, lace, and could sing songs when you press a button. He knew he would be the first card picked! But he is too eager and gets swept under the card rack. He manages to escape the store and knows someone out in the world will pick him--and he's right! But he's not used in the way he originally expected to--he is too beautiful to be used as scrap paper! Will it all work out for this Valentine in the end? We loved this story because it was fun to see how the Valentine would be used next! We loved this story because it helps learn days of the week, and also shows children that what they think is "wrong" or "bad" is still meaningful since it comes from the heart. Ruby is so excited for Valentine's Day and her class party. She made custom Valentines for everyone, including a rhyme--Ruby loves rhymes! She keeps bragging about her wonderful cards, but on the way to school, a gust of wind blows them away. Ruby is sad she won't have anything to share with her friends, especially since all the red paper in the classroom has been used up. What will Ruby do to show her friends how much she cares about them? We loved this story because both of my boys are in school, and are preparing for class parties. There are also some "unfinished" Valentine rhymes at the end of the book, and it was so much fun to see if they could finish them on their own. (They are pretty easy rhymes - the 3 year old knew most of them.) There are also instructions on the last page to make a Valentine that looks just like Ruby's!